Whether we are single or married, younger or older, wear a hard hat or a top hat, are self-employed or climbing the corporate ladder or retired from that pressured, stressful world, God's Word provides wisdom found nowhere else in literature…and not just wisdom but inspired wisdom. Expressed in ways that are easily understood, some of the most helpful counsel has to do with managing our money wisely. Being a parent is one of life’s most delightful and rewarding experiences. At the same time, it can be one of life’s most exasperating and demanding challenges. Parenting works best when we are loving and understanding, consistent and calm in our reactions, and wise and mature in our actions and attitudes. But who on earth does all of that all the time? Many of us have the right motives, but we just don’t know how to reprove one another the way God intended. In this message, let’s seek to understand the value and process of speaking the truth in love so we might gain—and share, especially with our children—the helpful insight that can remove blind spots and bring about needed change. The last thing healthy parents want is to hurt and discourage those they love so much. Yet, standing firm is a necessary part of training, which means our love must sometimes be “tough,” and our actions must sometimes be strong. After all, we’re dealing with children who will one day have to discipline and restrain themselves. They learn how to do that from parents who discipline them for wrongdoing and restrain them from defiance and rebellion. Simply put, we must learn how to shape each child’s will with wisdom. Parent’s, God’s Word has the wisdom you need to train your daughters to become godly women. 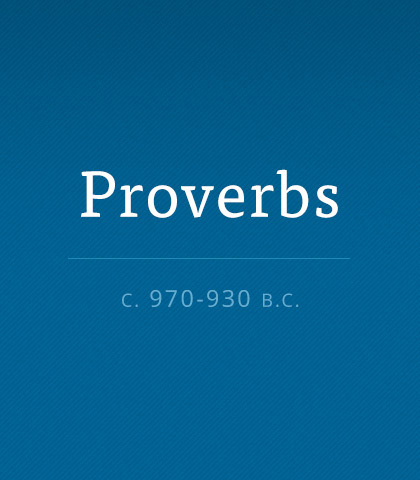 A great place to start is in the book of Proverbs. When the rights of teens clash with the rights of parents, the nest invariably becomes messy. So how do parents maintain a relatively peaceful home when everyone is claiming their rights? When we’re reproved our egos are threatened and we become defensive. What if instead of protecting ourselves we committed to becoming more like Christ? When we desire to be like Him we welcome reproof. We don’t have to live perfect lives—that’s impossible. But we can live good lives, and that comes from learning from our mistakes and not making them over again.